The Bearded Wood-Partridge, locally known as the Chivizcoyo in the areas of Hidalgo, Querétaro and Veracruz where it can be found, is one of the hardest birds in Mexico to find and see. Seen by few and little known, the Bearded Wood-Partridge was found near Coatepec in 1993 (Garza and Rodriguez, 1994). After this site was discovered and subsequently published in Howell’s “A Bird-Finding Guide to Mexico”, it was THE location to see this rare bird. Birdlife International rated the Bearded Wood-Partridge as CRITICALLY ENDANGERED with a tiny, fragmented range subject to habitat loss and hunting. In the following 20 years, Bearded Wood-Partridges were found to persist in a number of areas ranging from the Sierra Gorda in northern Querétaro to areas in central Veracruz and Puebla. The conservation rating has subsequently been revised to VULNERABLE though presumed to be continuing to decline rapidly due to habitat loss and fragmentation. However the elusive Chivizcoyo is no easier to see than it was before. Recent reports of attempts to see the Bearded Wood-Partridge near Coatepec mostly tell of increasingly cleared and developed forest, a sad paucity of birds, and no signs of the Wood-Partridge. The Bearded Wood-Partridge has been reintroduced in Macuiltepetl Park in urban Xalapa, but is rarely seen there. 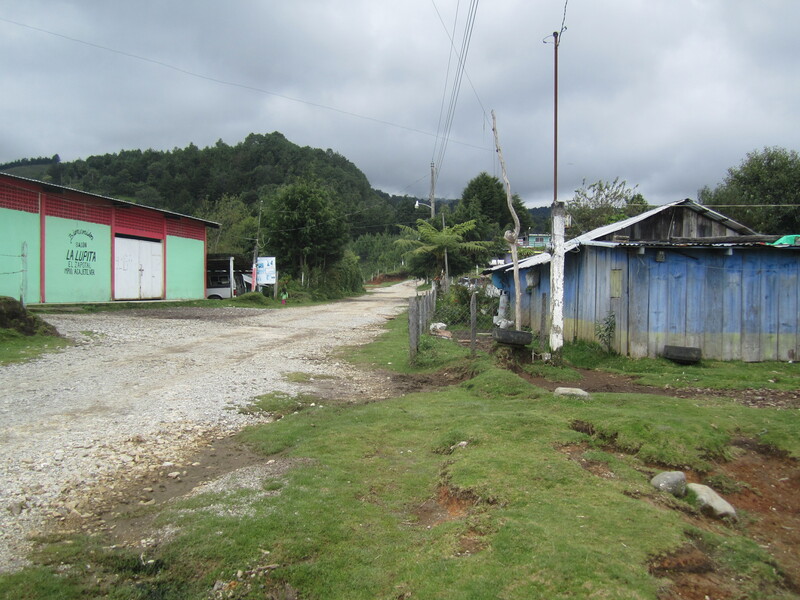 We went looking for the Chivizcoyo at a new destination, the small town of Zapotal, located adjacent to a decently sized patch of primary cloud forest above Xalapa. This tiny town (more of a hamlet really, about 30-40 inhabitants) is working to develop an ecoturism business. We spent two full days with one of the locals, Guadalupe, acting as our guide. We covered several miles and several thousand feet of elevation change each day on invariably steep, slick, and muddy trails. Guadalupe knew the local birds quite well and we heard a number of noteworthy cloud forest species but we were on a mission so we didn’t let ourselves get distracted. Over two days we heard at least 10 Bearded Wood-Partridge, but seeing them proved more elusive. Kathi managed to see a bit of the head and breast of one bird, but I was unfortunately looking in a different spot and missed the split second it was visible. Later we saw the movement of vegetation as one slipped past us quite close but after two days of hard work we had to settle for a not very good look for Kathi and a whiff for me. Such is life but it was a beautiful place, the people are wonderful, and Bearded Wood-Partridges are clearly relatively abundant in the area. We were there at a tough time of year, late spring (May or June) when the have young and are calling a lot, as well as in October, when they are attracted to the maturing beans in the bean fields, are the best times of year to try for them. At either time of year, a day or two’s effort should be successful in Zapotal! 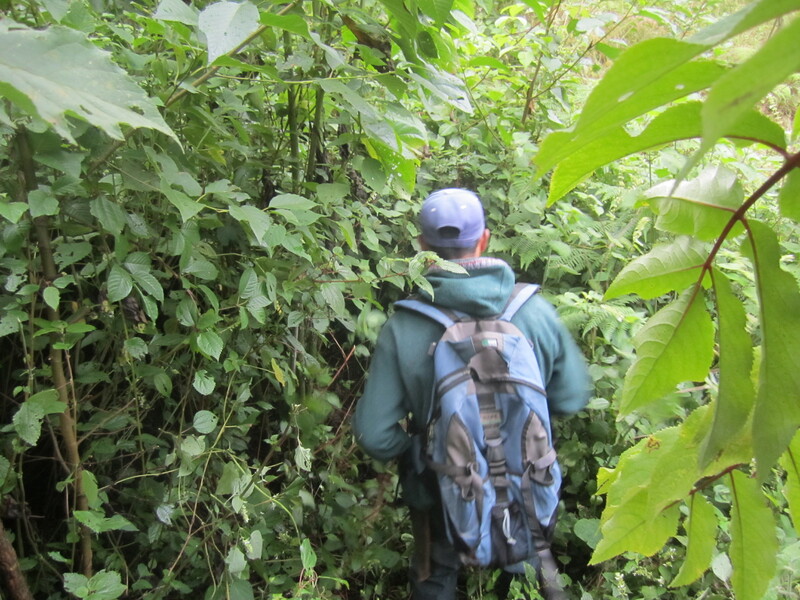 Guadalupe, our trail guide in Zapotal, clearing a bit of overgrown trail. Unlike many of the “ecotourist” destinations we have seen, the money goes straight to the community and provides a great incentive to preserve and protect the habitat around the village. In addition to providing opportunities to see the Bearded Wood-Partridge, they also take people out to see amazing waterfalls in the region. 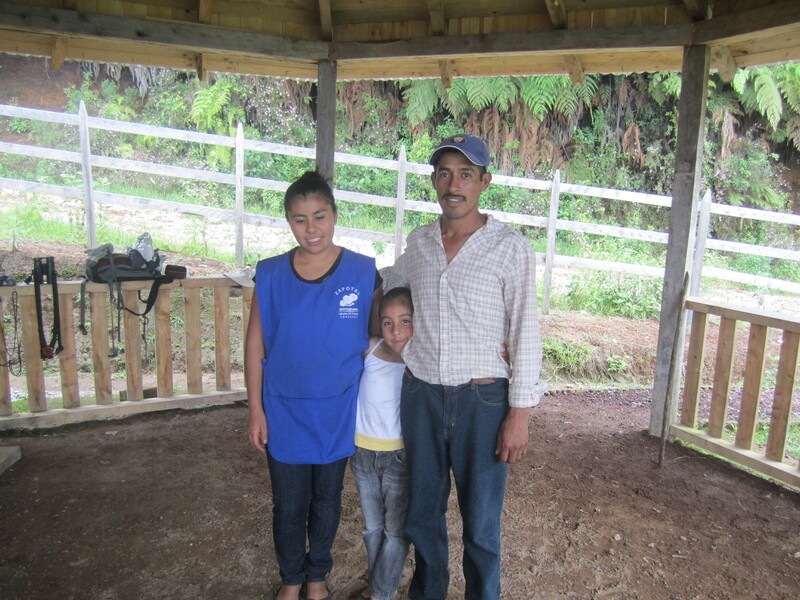 Guadalupe and his wife said that about 15-20 people a month from Xalapa visits the forests around Zapotal. We really hope that Zapotal’s ecotourism continues to be successful. As far as getting to Zapotal and looking for the Chivizcoyo, you can make arrangements through the non-profit SENDAS AC in Xalapa. You can find SENDAS online at http://sendas99.wordpress.com/quienes-somos/ or reach them via phone at (+52) 228 8123892 or via email at sendas_ac@yahoo.com.mx. They will make arrangements with the folks in Zapotal and tell you how to get there, but you’ll need a good vehicle or need to speak Spanish and be good at navigating rural transit to get there. The folks in town also speak only Spanish so you’ll need at least one Spanish speaker along. They have a small casita (very basic but perfectly adequate, 280 pesos/night) available for accommodation, and you could readily camp as well. Additionally, they have a comedor (dining room) and can provide absolutely delicious homemade meals for very reasonable prices (they charged us 40-50 pesos/person/meal for enormous and excellent vegetarian meals). Our guide, Guadalupe, asked 150 pesos / day to act as our guide and he knew the Chivizcoyo, its habits and where to find it very well. We would recommend preparing for rain and mud, wear drab and dark colored clothing, greens and browns are best. We wore waterproof boots but rubber boots might be even better if you don’t mind hiking a few miles of steep trails in them. You’ll also want to bring your own recordings, Guadalupe can whistle the wavering call pretty well but we had better luck with a recording of the wavering whistle and of the louder rollicking call. If you are up for the hiking but not the Spanish speaking and the logistics, Robert Straub (straub_robert@yahoo.com) in Xalapa is a really nice expat guide who would be the go to local!